Honest, professional auto repair services in La Mesa California and surrounding areas. Family owned & operated auto repair facility providing friendly, high quality service, straight forward advice, & auto repair expertise. Satisfaction guaranteed. Owner John Cafiero and his friendly employees use the latest diagnostic equipment to guarantee your vehicle is repaired and serviced properly and in a timely fashion. 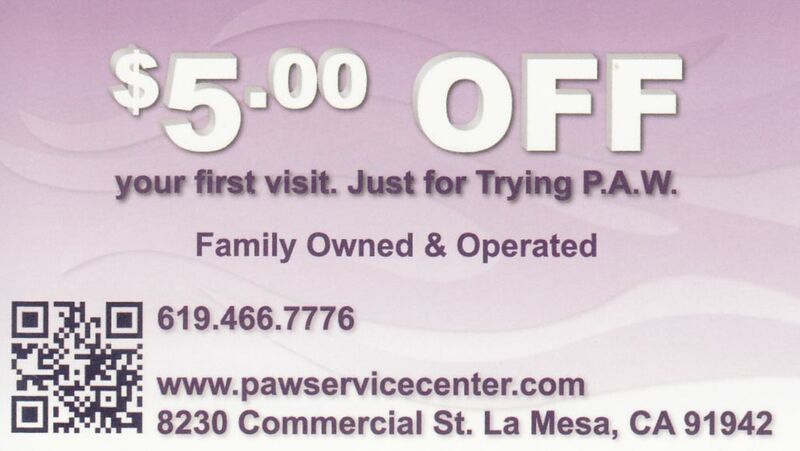 PAW Service Center is a fully equipped full-service preventative maintenance and automotive repair shop which allows for quick, efficient auto repairs. Posted in Auto Repair.Tagged auto, California, La Mesa, repair, service, used cars, used trucks. I am locked in to PAW. Put in a new transmission for me and made it easy, quick and reasonably priced. Love it everytime I go there. Car repair is SUPPOSED to be painful isn’t it???? Not here. I’ve never been stranded in my 2006. John and his crew have taken excellent care of my car! 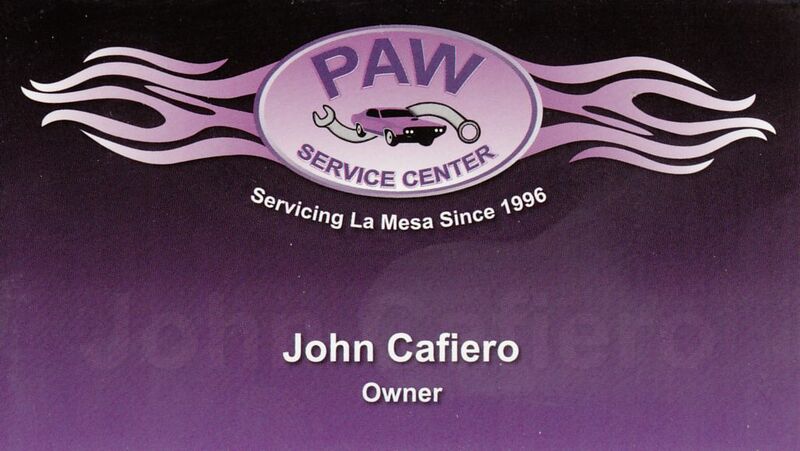 I truly appreciate John and his crew at PAW… Whenever my vehicles have an issue, I can COMPLETELY trust the repairs and recommendations… Very reasonable prices too… Love the CAR CARE CLUB !! These folks have worked on my Honda truck since I move to La Mesa. I can tell you that it now runs better than it was new. No joke. Seems there was some adjustment issue from when I bought the truck that John and his crew spotted and fixed the first time I brought it in.